Pt Madan Mohan Malaviya Hospital Recruitment 2019 - Below are various recruitment notifications published by Pandit Madan Mohan Malaviya Hospital, New Delhi. 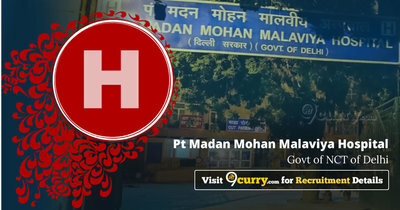 As of now, we don't have any active recruitment notification by Pt Madan Mohan Malaviya Hospital featured here. We may update as soon as the organization announces a new job notification. If you are looking for any information related to previously organized recruitment drives by Pt Madan Mohan Malaviya Hospital, you can browse through previous job notifications mentioned below and get the new updates or information you are looking for. Pt Madan Mohan Malaviya Hospital Recruitment 2019 - Walk in for Sr Resident Posts in Pt Madan Mohan Malaviya Hospital, New Delhi on Ad hoc Basis. Candidates are invited by Pandit Madan Mohan Malaviya Hospital, New Delhi to attend walk-in-interview to be held on 15 Feb 2019 at 09:00 AM for 5 vacancies. Pt Madan Mohan Malaviya Hospital Recruitment 2019 - Walk in for Sr. Resident Posts in Pt Madan Mohan Malaviya Hospital, New Delhi on Ad hoc Basis. Candidates are invited by Pandit Madan Mohan Malaviya Hospital, New Delhi to attend walk-in-interview to be held on 25 Jan 2019 for 5 vacancies. Pt Madan Mohan Malaviya Hospital Recruitment 2019 - Walk in for Sr Resident Posts in Department of Anesthesia, Pt Madan Mohan Malaviya Hospital, New Delhi on Ad hoc Basis. Candidates are invited by Pandit Madan Mohan Malaviya Hospital, New Delhi to attend walk-in-interview to be held on 14 Jan 2019 for 2 vacancies. 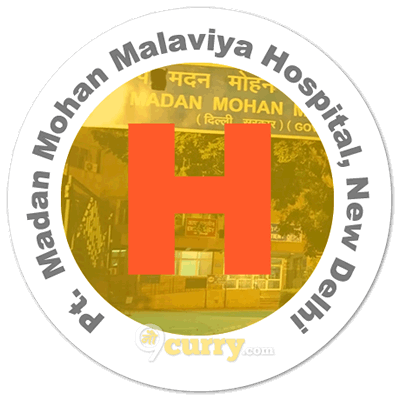 Pt Madan Mohan Malaviya Hospital Recruitment 2019 - Walk in for Jr Resident Post in Pt Madan Mohan Malaviya Hospital, New Delhi on Ad hoc Basis. Candidates are invited by Pandit Madan Mohan Malaviya Hospital, New Delhi to attend walk-in-interview to be held on 08 Jan 2019 for 1 vacancy. Pt Madan Mohan Malaviya Hospital Recruitment 2019 - Walk in for Sr Resident Posts in Pt Madan Mohan Malaviya Hospital, New Delhi on Ad hoc Basis. Candidates are invited by Pandit Madan Mohan Malaviya Hospital, New Delhi to attend walk-in-interview to be held on 07 Jan 2019 for 2 vacancies. Pt Madan Mohan Malaviya Hospital Recruitment 2018 - Walk in for Sr Resident Posts in Pt Madan Mohan Malaviya Hospital, Delhi. Candidates are invited by Pandit Madan Mohan Malaviya Hospital, New Delhi to attend walk-in-interview to be held on 07 Dec 2018 09:00 AM for 4 vacancies. Pt Madan Mohan Malaviya Hospital Recruitment 2018 - Walk in for Jr Resident Post in Pt Madan Mohan Malaviya Hospital, New Delhi on Ad hoc Basis. Candidates are invited by Pandit Madan Mohan Malaviya Hospital, New Delhi to attend walk-in-interview to be held on 19 Nov 2018 for 1 vacancy. Pt Madan Mohan Malaviya Hospital Recruitment 2018 - Walk in for Sr Resident Posts in Pt Madan Mohan Malaviya Hospital, New Delhi on Ad hoc Basis. Candidates are invited by Pandit Madan Mohan Malaviya Hospital, New Delhi to attend walk-in-interview to be held on 12 Nov 2018 from 09:00 AM to 11:00 AM for 3 vacancies. Pt Madan Mohan Malaviya Hospital Recruitment 2018 - Walk in for Sr Resident Posts in Pt Madan Mohan Malaviya Hospital, New Delhi on Ad-hoc Basis. Candidates are invited by Pandit Madan Mohan Malaviya Hospital, New Delhi to attend walk-in-interview to be held on 26 Oct 2018 at 09:00 AM to 11:00 AM for 3 vacancies.